Harley-Davidson® 2019 Roadster™ for sale in London. 1200 cc Air-Cooled Evolution™ Engine - An iconic V-Twin engine that is renowned for its massive low-end torque and soul-satisfying sound. Lightweight aluminium heads and cylinders improve air-cooling efficiency. Blacked-Out Styling - There’s plenty of black to bring a dark edge to the garage-built look of the Roadster™ motorcycle. The mirrors, belt guard and headlamp are black. The oval air cleaner has a black insert. There are slotted black exhaust shields and a blacked-out powertrain. Lowered Bars & Speedo with Tach - You get the performance, and the look and feel of slammed handlebars that put you in an aggressive riding position. The gauge includes a speedometer and tach so you can keep track of what’s going on in your power plant. 43mm Front Suspension with Inverted Forks - The 43mm front suspension with inverted forks features cartridge damping and the brawny look of massive new triple clamps. They’ll keep your rubber on the road when the pavement gets rough. Dual Disc Front Brakes with Floating Rotors - Dual disc front brakes with floating rotors so you can be more confident in your stopping with all that muscle behind you. Aggressive and Comfortable Two-Up Seat - The optimal combination of comfort and custom style. It’s a low profile, two-up seat with a nice, deep scoop to keep you firmly planted under acceleration, and it puts you just 785mm off the ground for a low center of gravity and confident handling. 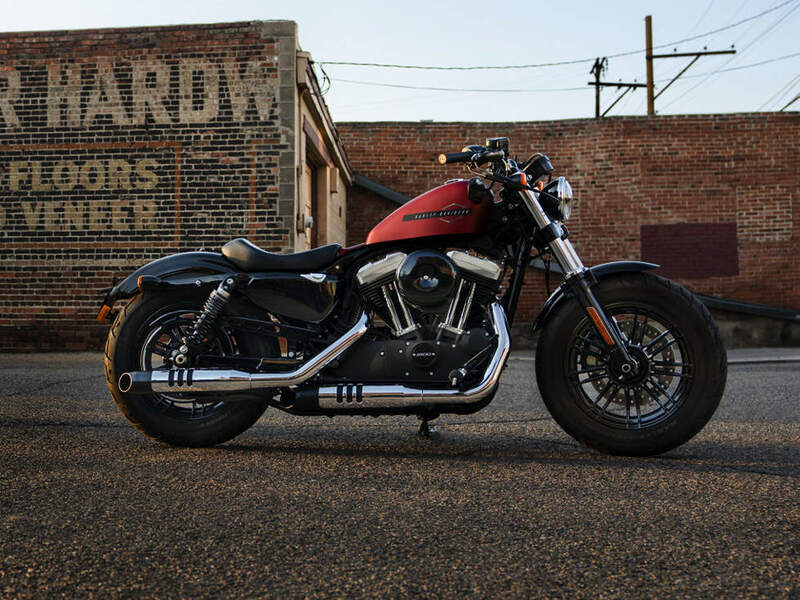 Light-Weight Offset Split 5-Spoke Wheels - 19-inch front and 18-inch rear wheels that give the bike a custom look, easy-steering and a better power to weight ratio.